Steel Mains has been at the forefront of research for over 100 years. We regularly conduct in-depth analysis of our Steel Pipeline systems to ensure it meets the requirements of Australia’s tough climate. We have a proud history of working with the major Water utilities across Australia to develop our products that best suit their needs. 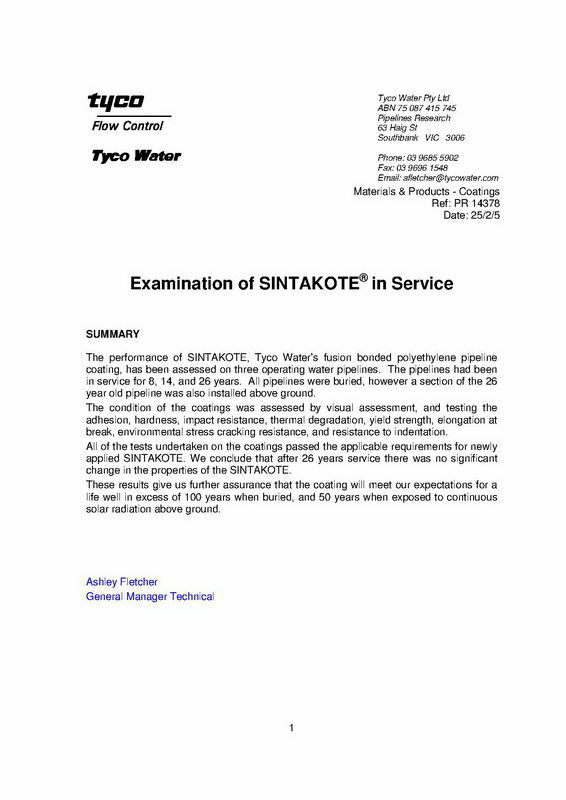 Below you will find various technical documents that show the advantages and strengths of using Steel Mains Sintakote Steel pipe in various water applications.